"A hilarious physics game full of cats!" 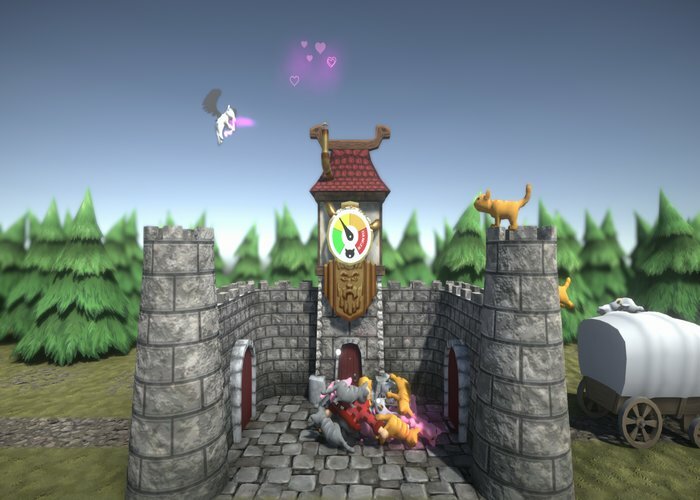 Cat Fortress is a great looking, bright and colorful physics based game where you play as a man trying to defend his fortress from a huge invasion of cats! As the cats come raining down from the sky you must try to throw them out of your fortress before too many of them jump on top of you and kill you with cuteness, however throw the cats incorrectly and they will soon return, and having a cupid cat flying in the air constantly creating new cats to attack you can make the game very challenging. The objective of Cat Fortress is to throw the cats in to the waiting trucks which park either side of your fortress but if you miss the truck (which happens very often) they will soon come running back to invade again, if you should happen to throw on cat in to another it will also breed and create a new cat making life even more difficult for you. 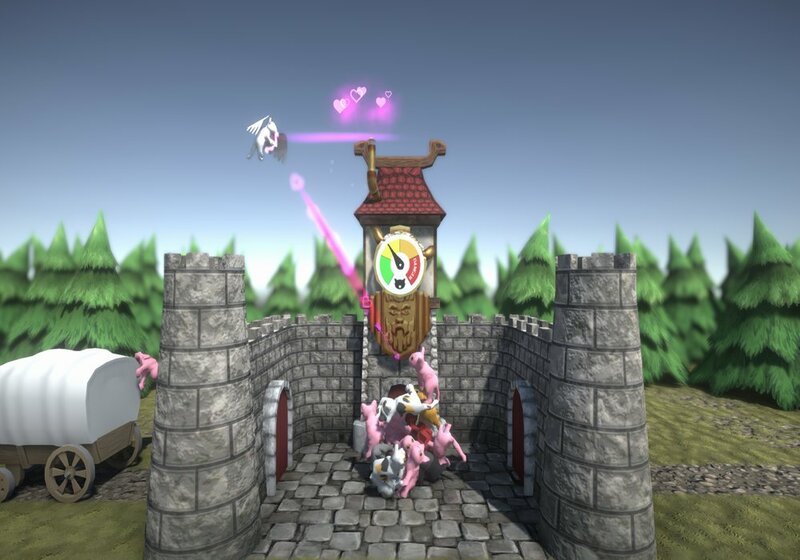 All you can do is try to stop your fortress from becoming overrun for as long as possible and it will mean getting used to the physics of the game and becoming a champion cat thrower , and although it is fairly simple as the backdrop never changes meaning it is very easy to get in to, but beating your time for keeping your fortress safe will give you a reason to keep coming back an trying again. The cute 3D animation looks great, and who would have thought that throwing cats over walls could be so much fun? You can download Cat Fortress here for free.